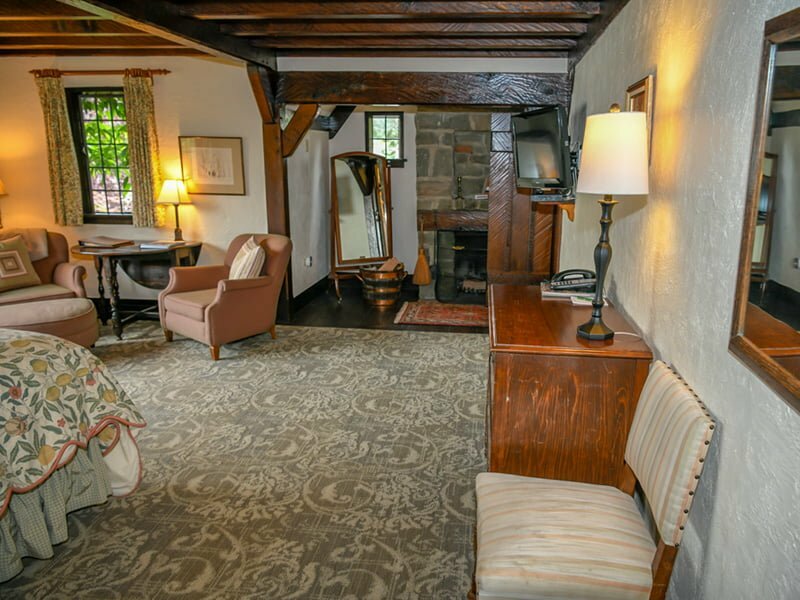 In this two-room suite, the large front room serves as both bedroom and sitting room with a Queen Bed and ample sitting area featuring a wood-burning stone fireplace. 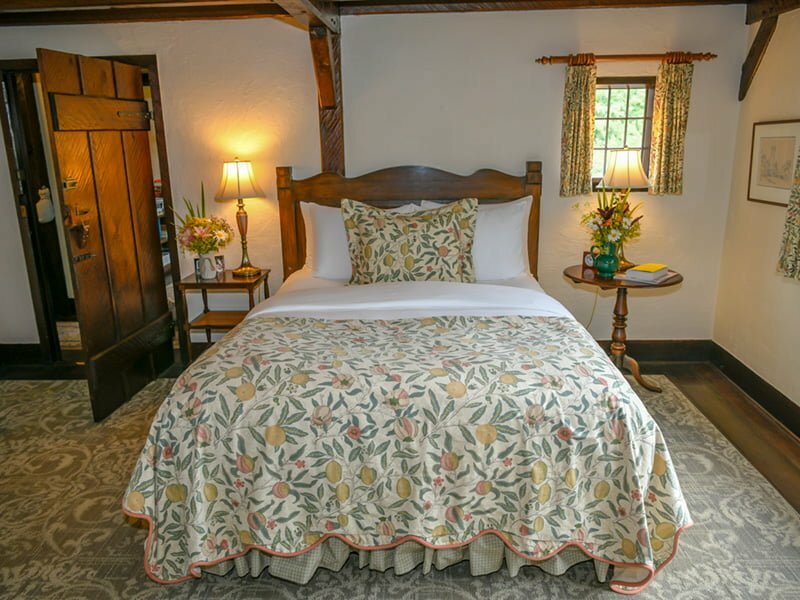 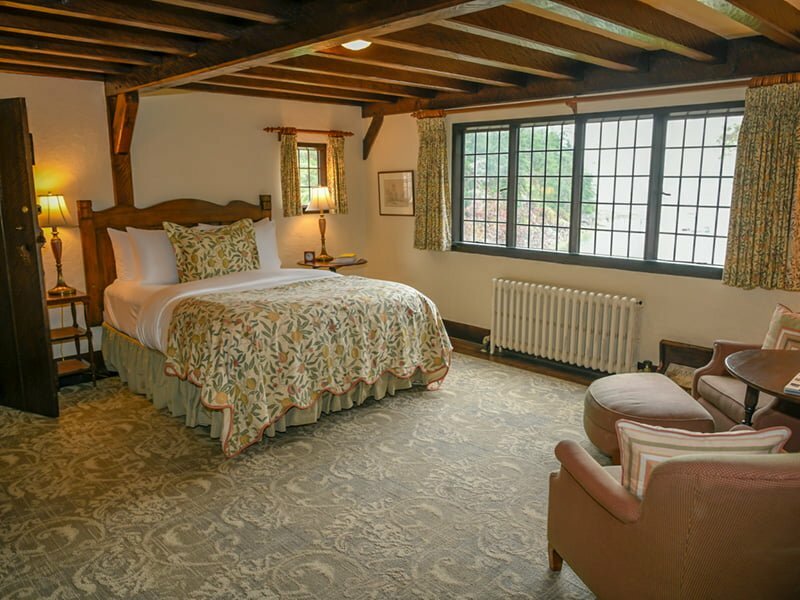 The second bedroom features twin beds with eiderdown comforters and antique mahogany. 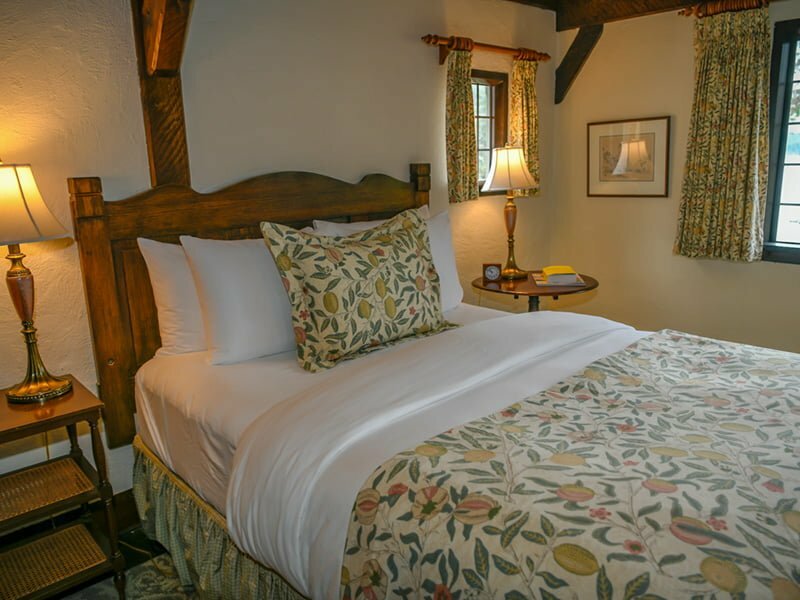 It is a one-bath suite with an ocean view, leaded glass windows and comfortable seating for three around the stone fireplace.